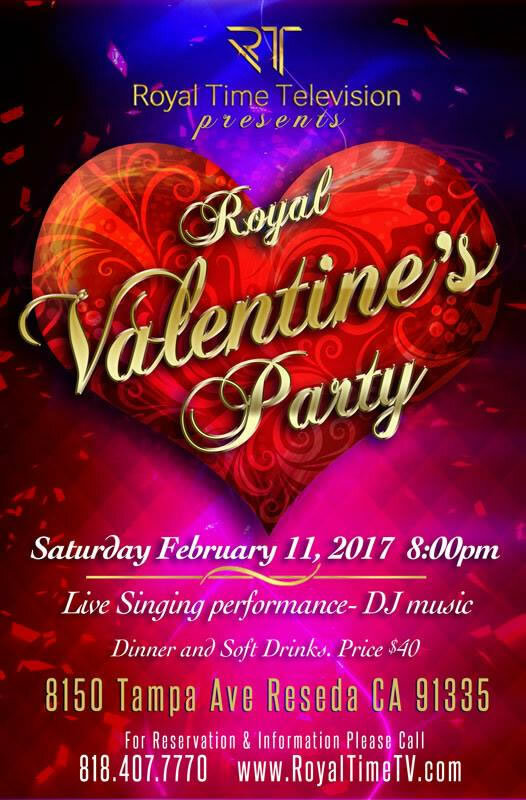 Valentine's Party by Royal Time TV. Live music, DJ and dinner. at 8 pm at 8150 Tampa ave. Reseda, CA 91335 . information: 818.407.7770 .